Statistics on this page are 2016 figures from Geoscience Australia. As defined by the Australian Bureau of Statistics (ABS): "EDR is a measure of the resources that are established, analytically demonstrated or assumed with reasonable certainty to be profitable for extraction or production under defined investment assumptions. Classifying a mineral resource as EDR reflects a high degree of certainty as to the size and quality of the resource and its economic viability." 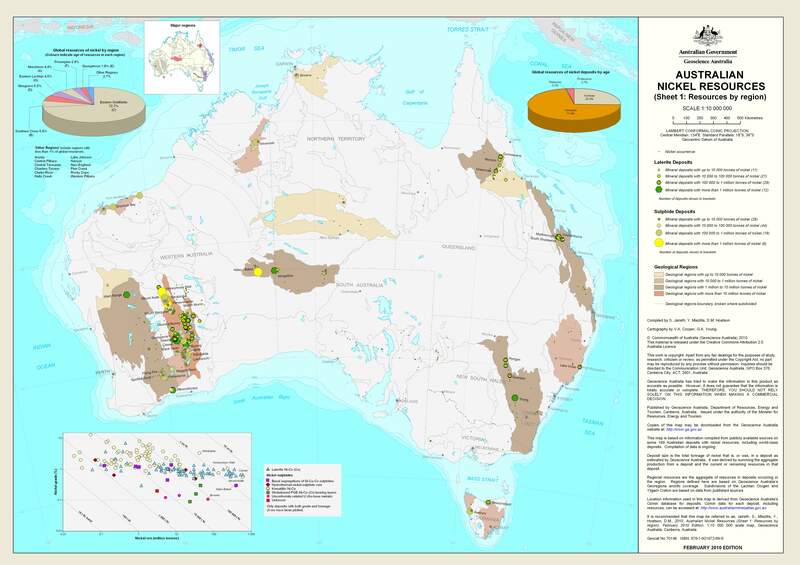 A HUGE 59MB file with significant detail that outlines all operating mines in Australia as at 2014. You will need to zoom in with your browser or Adobe Reader. Note: The PDF below is very large. It will take a while to download. Click image for a HUGE 59MB hi-def PDF. Australia is estimated to have 10% of the world's EDR of black coal and ranked fifth in the world behind the United States of America, China, India and Russia. Click image for a huge 9MB hi-def image. 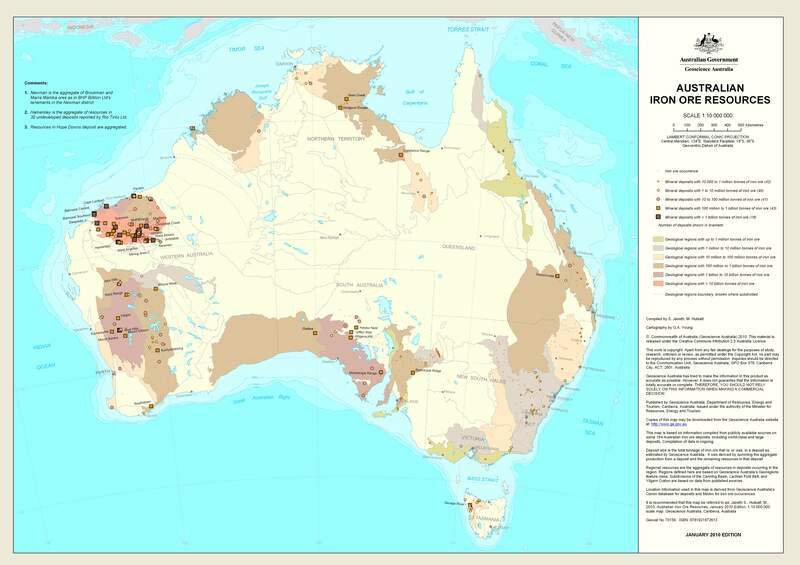 Australia is estimated to have 12% of the world’s EDR of copper and ranked second in the world behind Chile (29%). Peru, the USA and Mexico also rank highly. Click image for a large 3MB PDF. 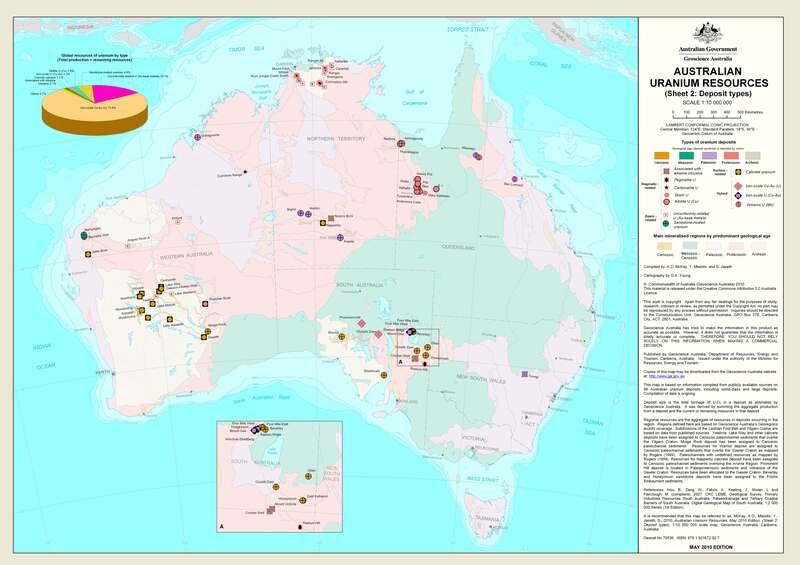 As a result of recent changes in the reporting of Australia’s diamonds, it’s not possible to compare Australia’s EDR of diamonds to the rest off the world using USGS figures. Click image for a huge 25MB hi-def image. Australia is estimated to have 17% of the world’s EDR of gold and ranked first in the world ahead of South Africa, Russia and Chile. Click image for a 9MB hi-def image. Australia is estimated to have 28% of the world’s EDR of iron ore and ranked first in the world ahead of Russia (14%) with Brazil and China close behind. Click image for a large 2MB image. Australia is estimated to have 40% of the world’s EDR of lead, 31% of the world’s EDR of Zinc and 15% of the world’s EDR of silver. Click image for a large 3MB image. Australia is estimated to have 24% of the world’s EDR of nickel and ranked first in the world ahead of New Caledonia, Brazil and Russia. Australia is estimated to have 30% of the world's uranium at a recoverable cost of less than US$130/kg and ranked first in the world ahead of Niger, Canada and Kazakhstan. Spreadsheet of all mines including their synonyms, state, GPS co-ordinates and commodities type. 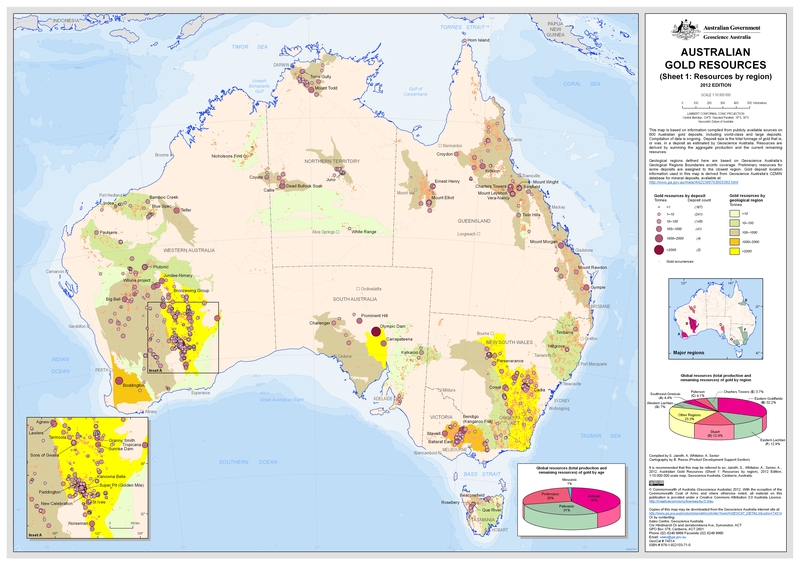 Annually released report by Geoscience Australia. The historical 2015, 2014 and 2013 editions are also available. A 206 page document prepared by the U.S. Geological Survey (USGS) that contains global statistical data for all minerals. Annual figures, country breakdowns and trend identification. 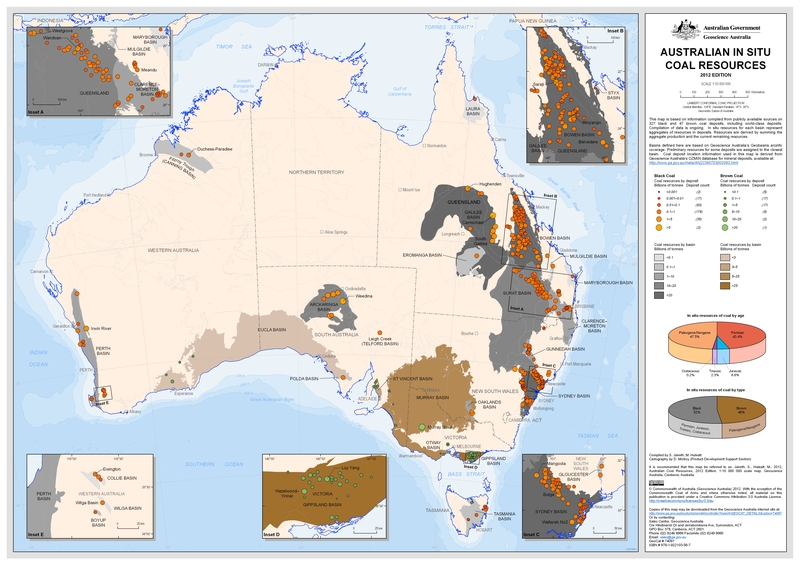 Geoscience Australia use USGS for foreign country data when doing their calculations.